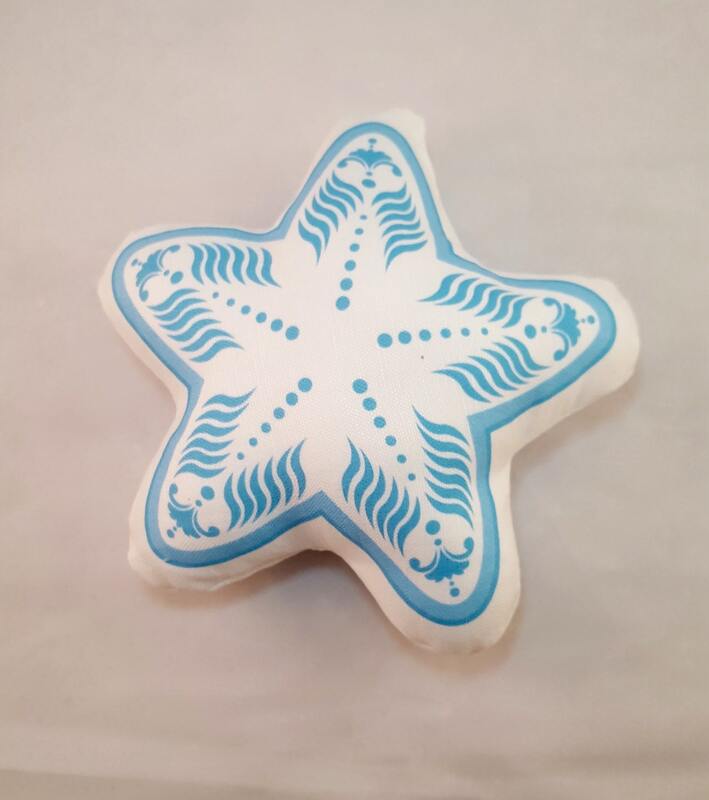 Adorable little starfish rattle in White with blue accents. 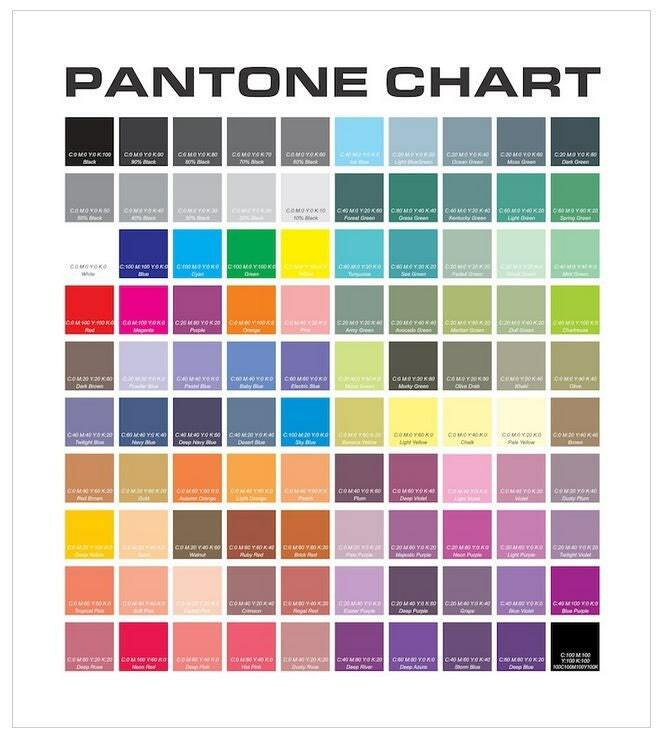 A great baby gift. 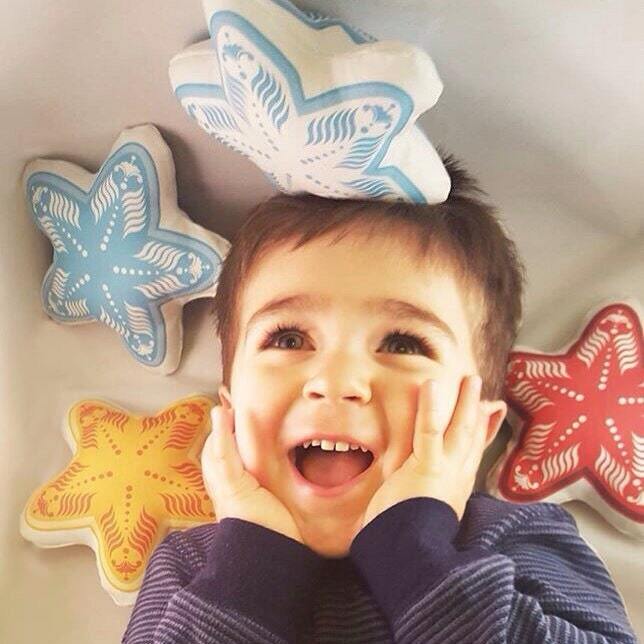 Cute as an accessory for a beach themed room or as my son likes to use them. Ninja Stars! 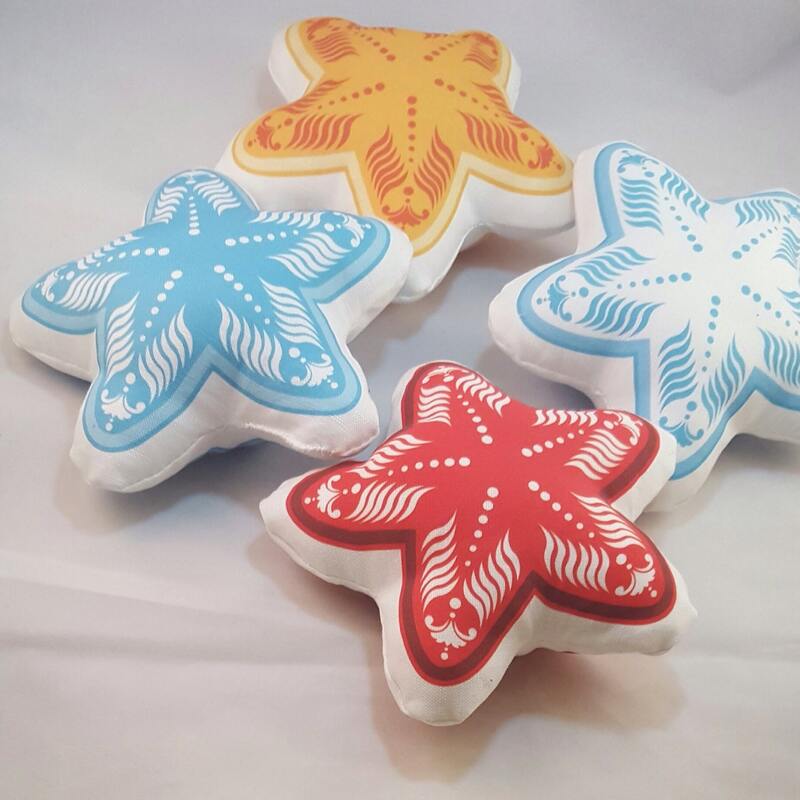 Each starfish is made of 50/50 cotton/linen blend and filled with polyfil and a small chime. They are made by hand and measure 6" when complete.